Simply Silhouette: Jaded BlossomNovember Monthly Challenge"Thanksgiving Treats"
Hope you enjoyed my challenge project..
all of the other linked up projects.. These are to cute!!! 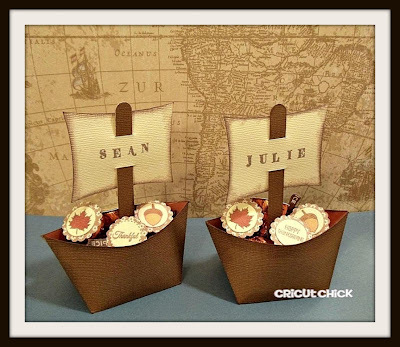 I saw something like this for cupcakes and loved it!!! Wow this looks super cute. Love this idea. 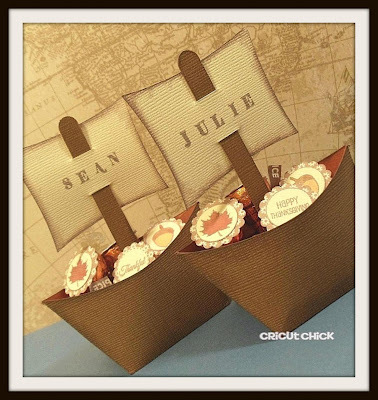 The kids or adults will love this as there Place Cards definitely. and Thank you my friend for linking your project over at Jaded Blossom's November Challenge. Super cute! I am so pinning this! Love it! These are really cute. 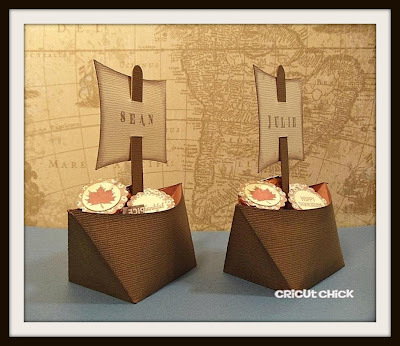 Perfect holiday place card holders and they will look awesome at the dinner table! Love this!! That boat is awesome! I so need to make these for my boys now! What silhouette file did you use??? It's the Pilgrim Boat Box by Pebbles in my Pocket. Very easy to assemble...I copied and cut two sticks for each boat instead of one. I glued them back to back to make the stick thicker so it would be more sturdy. These are super cute!!!! I love them! Thanks for joining the Jaded Blossom Challenge! So cute! Thanks for playing along with us in the challenge! You are Amazing! !Love your creativity!Awesome!! These are fantastic!!! Love how this years covers match these place card holder!! Fantastic!! love them as usual. Always make my grandchildren something for the holiday table.